Split International airport serving the Split city of Croatia is located 25 kilometers from its Kastela Bay in Kastela town extending itself into Trogir town. 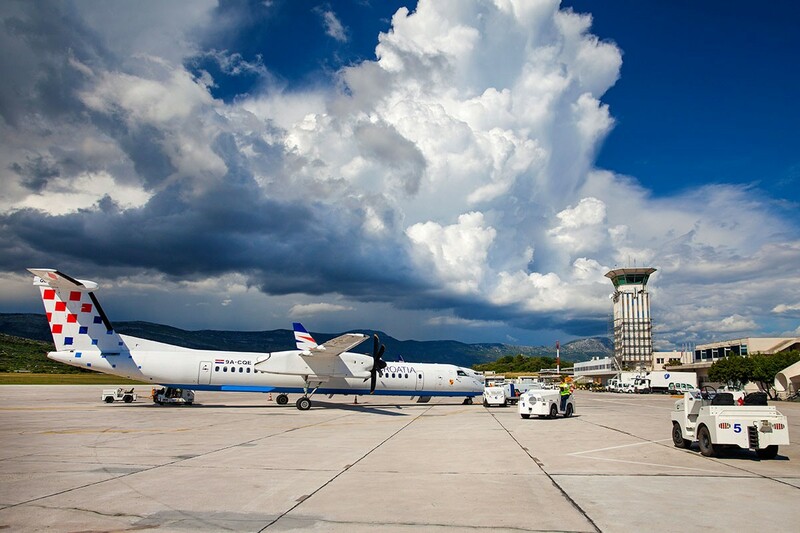 Also known by a local name of Resnik Airport, Split airport is the second busiest airport of Croatia after Zagreb International serving about 2 million people a year. Split airport is the ideal location for the Croatian Air Line flights for many major European cites like Paris, London, Athens and Frankfurt. Apart from this, it is also hub for many leisure and charter airlines. The Existing airport facility started its function in 1966 with a passenger capacity of 150 thousand and 6 parking positions. The rising passenger traffic forced the management to expand the facility in 1967 and the apron was enlarged to have 10 airplanes simultaneously. In 1979 a new terminal was built and the apron was again extended to accommodate the high passenger traffic due to the 8th Mediterranean games. In 2005 the terminal of Split International got a facelift by some major renovations and from that time they are continuously improving. The apron was again expanded, another gate was added and a whole new terminal is also built. The airport facility is provided by all the amenities of any modern airport. It has exchange offices, restaurants, cash points, café bars, special toilet facilities, polite staff and all you can name for any good airport. Split airport gets most of its traffic during summers when the tourists come to have a vacation for life in Croatia. The most preferable way to get transfers from this airport is to pre-book a ride for you and there is no one is Croatia providing this service better than us. Pre-Book a ride with us and we will be right there to receive you and manage all your transport matters in the best way.